As I impatiently await Miss Blythe Bouchée's homecoming from the spa, I find myself turning most of my attention to the big eyed and big headed dolls lately. Who better to satisfy my cravings than my Byul doll, Lyra. She joined my doll family early this year along with a Dal doll from the same Dollte Porte series by Groove. Thanks to my lovie! I can't say I've always been a fan of Byul. I love big eyes on my big headed dolls but I thought Byul's went a bit far to a point that slightly scares me. It's just soooh shockingly big, like she's continually being electrocuted! I quickly got over that feature, however, when I first glimpsed the Dollte Porte series. I cannot deny such an epic attire! 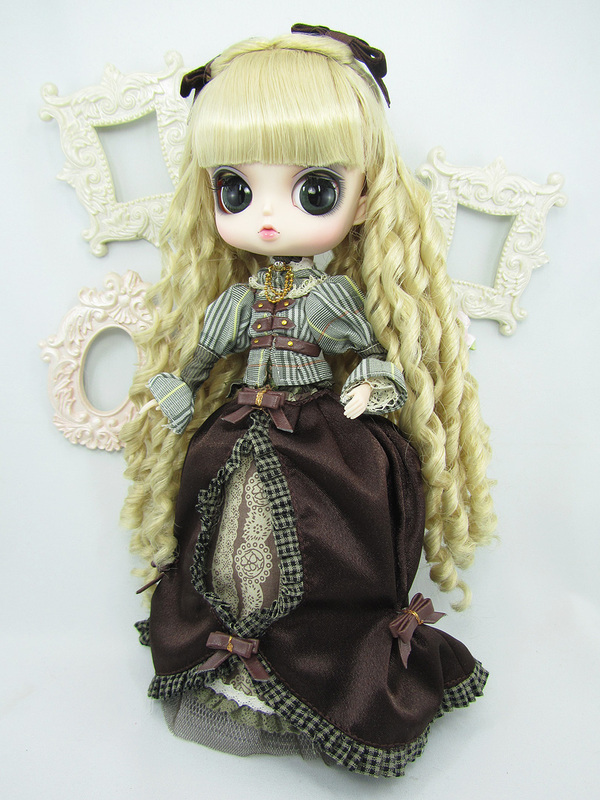 Plus, this particular Byul doll's eyes are perfectly balanced with the big hair and the big poofy dress. She's so beautifully disproportional, it gives quite the opposite effect of symmetry. I love it! I don't own any Byul myself, but my friend does, and I'm always admiring hers... but yes, you have to wait for the right one to come along! I'm the same with you. I've always been hesitant of Byul for the same reasons. Yours looks great though! I do love the Dollte Porte series, because they are so Victorian-esque, but for some reason the actual Dal and Pullip dolls themselves don't strike my fancy, only the attire! I love the fashions! Hello from Spain: congratulations for having a doll as ideal as Byul. I like the clothes she wears epic. The hair is beautiful. Keep in touch. She is very pretty. 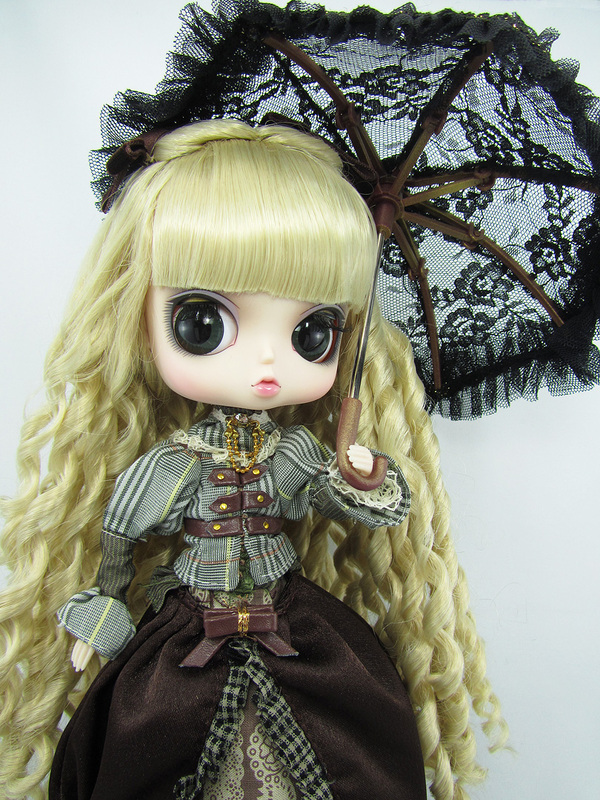 I can always rely on you to introduce me to new dolls I haven't yet seen.